Landlords and property managers need to comply with reasonable and necessary safety regulations to protect their tenants. The safety requirements below ensure your residential rental property is up to par. However, many other factors affect whether a residence is in habitable condition. Read on to review the specific tasks landlords undertake to keep their property in habitable condition. housing and building codes indicate specific measures to be taken by the landlord. When a reasonably foreseeable danger exists and a tenant or visitor is injured on the premises, the landlord is liable for the resulting injuries due to their failure to install or provide appropriate security measures. However, the definition of “reasonably foreseeable” is fluid and decided by courts on a case-by-case basis. The definition of a “reasonably foreseeable” danger is fluid and decided by courts on a case-by-case basis. Consider a landlord who operates a residential rental property with a swimming pool. The pool complied with safety standards existing at the time the landlord acquired the property 25 years ago. As such, the door to the pool area does not have a self-closing safety mechanism. A guest visiting a tenant leaves the door to the pool open, and the guest’s grandchild falls into the pool and drowns. 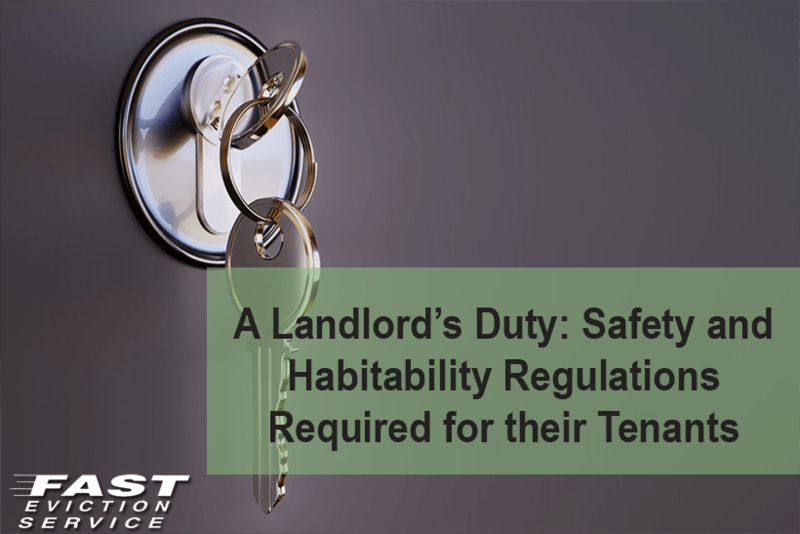 A residential property’s compliance with local building codes and state regulations regarding fire safety and emergency precautions is part of the duty a landlord owes tenants and visitors. Monitoring dangerous pets, rodent and vermin infestations on their rental property is part of a landlord’s duty to maintain safe and habitable conditions. However, a landlord is not liable for injuries on the property caused by dangerous pets not owned by tenants. For example, a resident of a property neighboring the landlord’s property brings a leashed dog onto the landlord’s premises. The landlord knows the neighbor’s dog is menacingly aggressive. When a tenant’s child attempts to pet the neighbor’s dog, the dog attacks the child. The tenant claims the landlord is responsible for the child’s injuries since they failed to warn the tenants about the nature of the neighbor’s dog. A landlord is liable for any injuries resulting from a dangerous pet’s behavior on their property when they are aware of the pet’s nature and the pet’s presence is within their control.